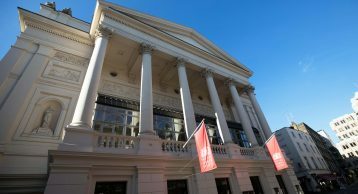 The stunning and historic Royal Opera House has become a popular attraction for opera lovers wanting to experience world-class performances. 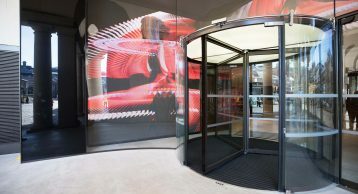 It underwent a major refurbishment by Architecture office Stanton Williams, who unveiled their plans to upgrade the entrances and public spaces. The aim was to make the physical entrances and street level public areas to the building more open and enticing, and to find ways of developing existing space to assist making the work of the Royal Opera House and the associated creative processes more visible to the public. At Intrasystems we are very excited to have worked on this project in adding to the internal aesthetics and generally enhancing the reception area. 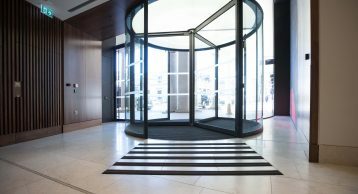 We worked with the architects and recommended the use of our flagship INTRAflex XT Entrance Matting to help trap the dirt and maintain the internal aesthetics of the building. 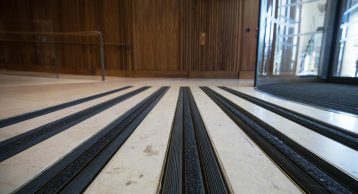 The unique Entrance Matting which is cut into the stone at the iconic Royal Opera House not only enhance the reception but also prevents slips and trips. 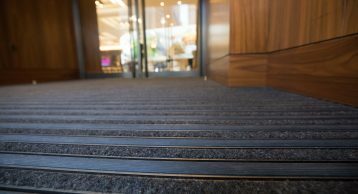 For a building like this aesthetics play a big part so we recommended the Entrance Matting to be Bronze Anodised, this adds a touch of class whilst being as functional as ever. The system is only effective when used with the right inserts. By combining our most popular INTRAlux Elite Black 608 fibre and the highly durable ribbed rubber insert, we were able to help in tackling dirt head on, it also means this system can function even in inclement weather condition. 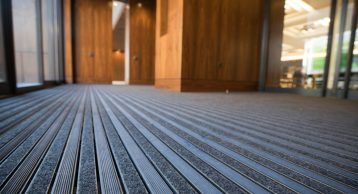 The open construction of this Entrance Matting solution also means that moisture and dirt can fall away into the matwell meaning it’s never dragged into building which can often damage flooring beyond by leaving scratches. At INTRAsystems we have always believed in the mantra of Enhancing Buildings by Design, and this project is a great example of taking something so functional and making it blend seamlessly into the overall finish of the building. 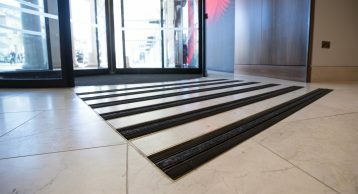 View the image gallery below, why not call our dedicated sales team to learn more on how we can help with your next Entrance Matting Installation.